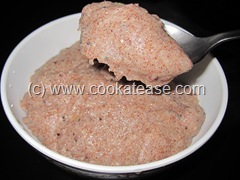 Ragi or Finger Millet is wonderful cereal with more dietary fiber and minerals like iron and calcium. 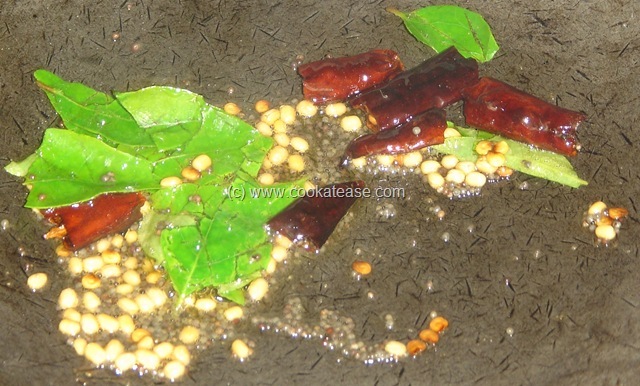 In Tamil we call it as Kezhvaragu. It is a fact that villagers, use Ragi more and they are healthier than city people who use Ragi very rarely. 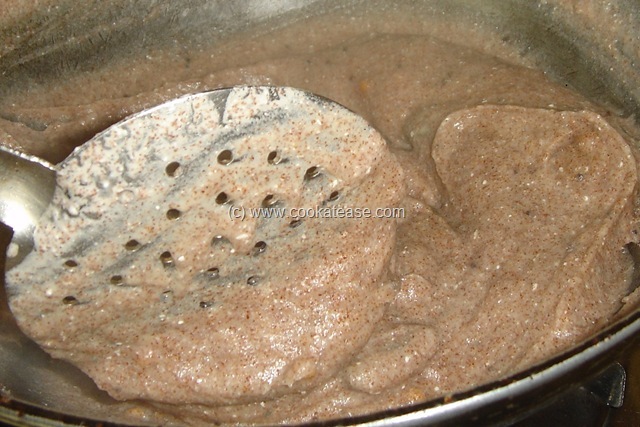 Now slowly, people in the city also have realized the importance of Ragi and have started using Ragi regularly. Variety of dishes can be made from this cereal like Adai, Dosa, Idiyappam, Kali, Kozhukattai, Puttu, Roti including Koozh. This is a healthy food for people of all age groups and even to sugar patients. 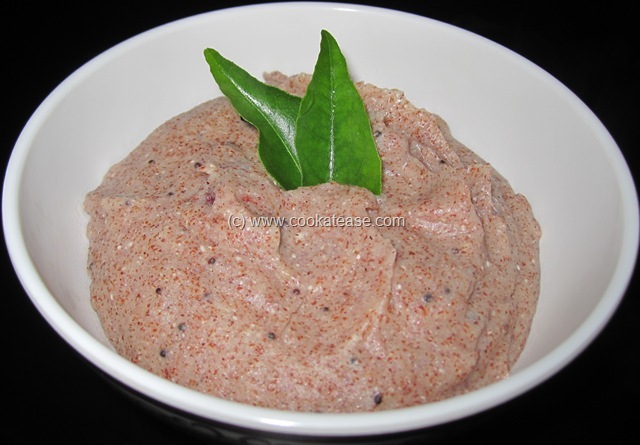 Here I have prepared, Ragi Moru (Buttermilk is Moru in Tamil) Koozh. 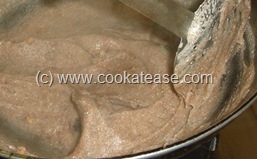 It is easy to prepare and is also easy to eat (no need to chew) as it is like a porridge. 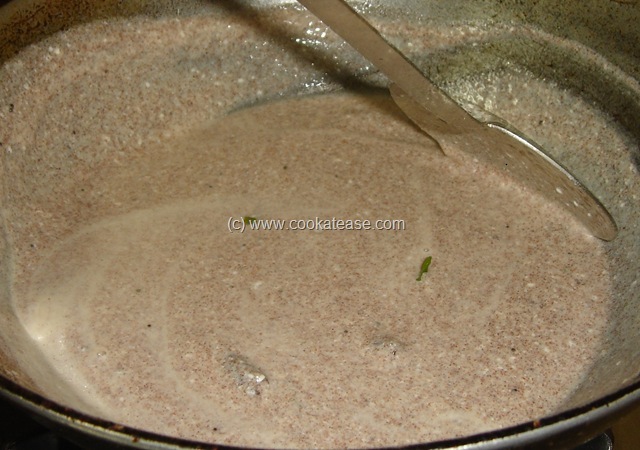 Mix ragi flour in buttermilk with salt to a pouring consistency, add little water if needed. Heat a pan, do the seasoning; add ragi batter, cook in medium flame by stirring continuously. 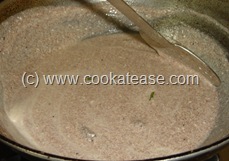 Do this till the liquid becomes thick and separates out from the sides; to know cooked or not, touch carefully the mixture with wet finger tips while hot; if cooked properly, Koozh will not stick in your hand. Remove and serve hot; very good dish for breakfast or dinner. Very convenient to eat when having tooth ache, as it requires no chewing. Water quantity can be increased if you want it to be more watery. Kamala thank you very much for sending another healthy ragi recipe. Such a healthy porridge, never tried adding buttermilk..should try soon.